While the papacy is a religious position, it is hard not to miss Pope John Paul II at a time when Russian forces are supporting and fighting a war in Ukraine simply for the geopolitical machinations of a former KGB colonel. John Paul understood how to use his influence rather than just mouthing the words expected. 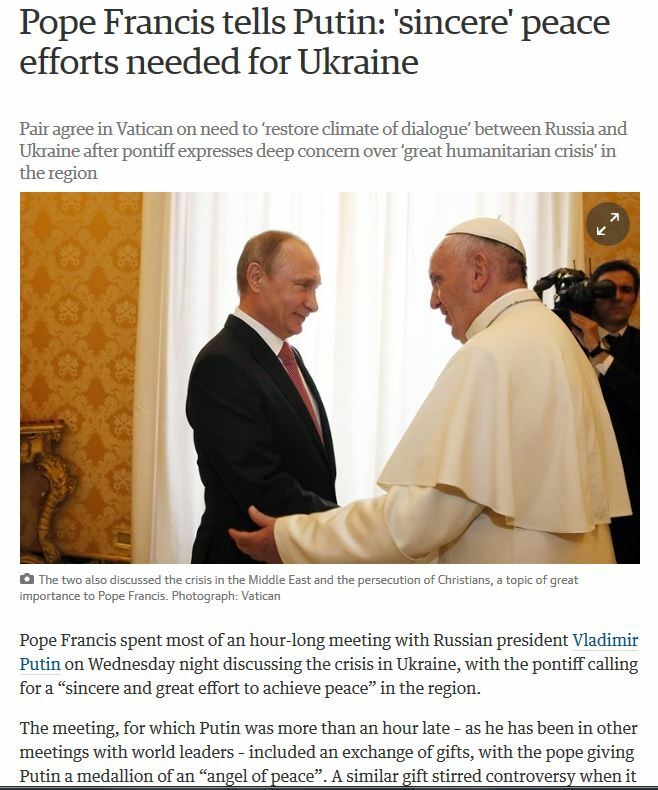 Why Pope Francis would waste his breathe lecturing Vladimir Putin on the need for real efforts at peace in Ukraine is a mystery because even a dilettante of the world stage like Francis couldn’t possibly think it would have any effect. Expecting a different tack from Vladimir Putin is the essence of naivety. Glad you’re back online! Good point.